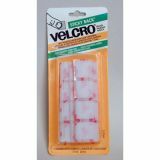 Velcro® tape adheres to almost any smooth surface. Just peel off the protective backing and press into place. 5/8White coins. 15 per pack. 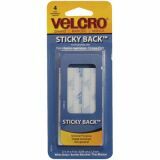 Velcro® Sticky Back Fasteners, White, 7/8" Squares, 12/pkg"
Adheres to almost any smooth surface. Just peel off the protective backing and press into place. 12 per pack. 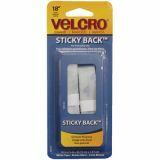 Velcro® Sticky Back Tape, White, 15' x 3/4"
General purpose fasteners for everyday use. 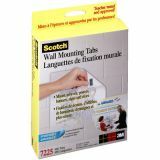 Adheres to almost any smooth surface. Just peel off the protective backing and press into place. Adhesive reaches maximum strength after 24 hours. 15' x 3/4". White. 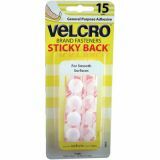 Velcro® Sticky Back Tape, White, 3/4" x 18" Strips"
Velcro® Sticky Back Tape, White, 3/4" x 4" Strips"
Mount artwork, posters, banners, signs, and more. 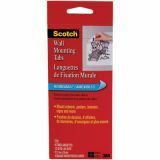 Won/t damage your wall, paint, or students/ work. 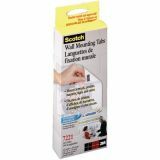 Easy to use."